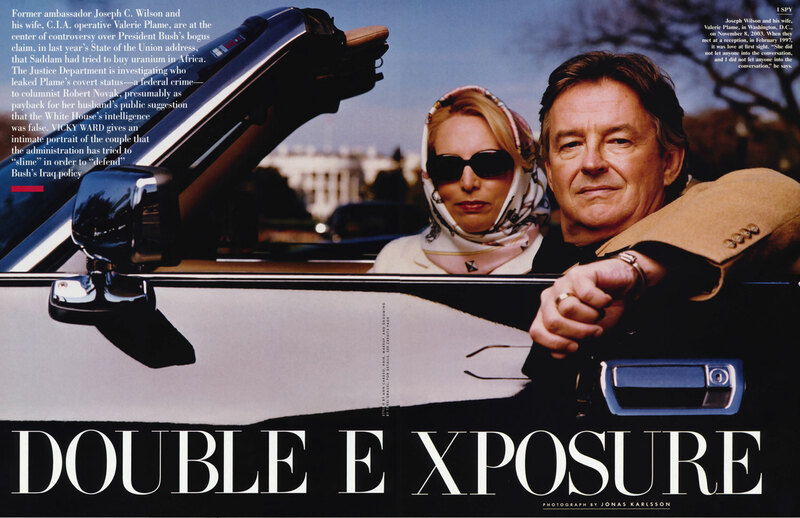 Joseph Wilson and his wife, CIA operative, Valerie Plame. Former ambassador Joseph C. Wilson and his wife, C.I.A. operative Valerie Plame, are at the center of controversy over President Bush’s bogus claim, in last year’s State of the Union address, that Saddam had tried to buy uranium in Africa. The Justice Department is investigating who leaked Plame’s covert status — a federal crime — to columnist Robert Novak, presumably as payback for her husband’s public suggestion that the White House’s intelligence was false. VICKY WARD gives an intimate portrait of the couple that the administration has tried to “slime” in order to “defend” Bush’s Iraq policy.